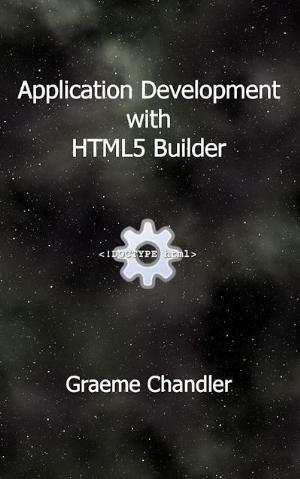 Dive into HTML5 Builder development and learn all about the different application types and how to use jQuery Mobile. Part 1, Overview and Setup, provides an introduction to HTML5 Builder and describes what you need to get started. It introduces you to the resources required from Apple, Android and BlackBerry and takes you through the steps to set up your Mac and Windows environments for iOS development and Android development. Part 2, Working with HTML5 Builder, introduces the HTML5 Builder IDE and explains the main project types for client, mobile and server web applications. IDE-based and browser-based debugging are examined, as well as remote debugging for applications on mobile devices. Topics such as templates, master pages, code insertion, local storage, SQLite, Web SQL, DataSnap, database access, data modules, page layout, animations, transformations, the canvas and drag and drop are all covered. Part 3, Mobile Development with jQuery Mobile, looks at how jQuery Mobile plays a part in mobile development with HTML5 Builder. You will learn how to incorporate controls into web pages that are not included HTML5 Builder's tool palette. Topics include page linking and transitions, headers and footers, theming and mobile hardware features. Appendix A, Apple App Store Submission, provides a guide to registering with Apple iTunes Connect for submission of applications to the Apple store. Appendix B, Google Play Store Submission, provides a guide to registering with Google Play for submission of applications to the Google Play store. The layout can be customised by dragging the category and news side panels.